No list would be complete without mentioning the lovely Audrey Hepburn who stars in this movie that imprinted the legend of Parisien couture on my young mind. I am a sucker for the classic Pygmalion-inspired story of the shy librarian that transforms into a sophisticated cover girl. It is every young girl’s dream. 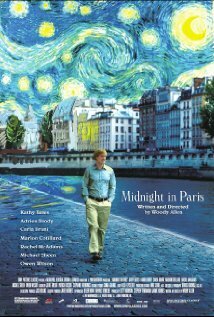 Woody Allen brings the 1920’s Paris of Hemingway’s A Moveable Feast and La Belle Epoque to life through the eyes of a modern day dreamer played by Owen Wilson in this magical love letter to Paris. The opening shots set to French music are classic. Marion Cottillard is brilliant, as usual. I loved discovering Bond Girl Lea Seydoux who has since scored a Dior contract and a Palme D’or for her role as Emma in Blue is the Warmest Color (La Vie D’Adele). What blew me away about this movie was seeing my favorite artists and time periods coming to life in my favorite city, all the way to the ending in Versailles. I loved the premise of being invited by champagne swigging flappers to the best party in Paris with the Fitzgeralds and Hemingway. We all have that conversation “Who would you want to go to dinner with, alive or dead”, and Woody Allen made a movie about it. So brilliant! Adrian Brody as Dali was so exciting to me when I first saw this. I couldn’t believe the resemblance and his passion for the role. That is what I live for. You know he did hours and hours of research for that small scene, and what an impact he made! My only disappointment with this movie is that it isn’t ten hours longer with more conversations with these brilliant minds. It is like a sip of champagne, but I want the whole bottle. I read A Moveable Feast and that helped somewhat, but I am still hoping he will come out with a part 2 where Owen Wilson is taken to Pamplona to watch the bulls with Hemingway. I have to say that the actor Corey Stoll who played Hemingway completely captured Hemingway’s search for truth and manner of speaking in very long sentences without taking a breath. As usual, excellent casting by Allen. 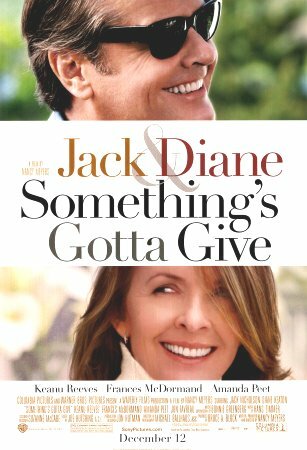 Diane Keaton and Jack Nicholson play two friends that meet through her daughter and promise they will meet up in Paris for their birthdays, if they are still both single. They eventually realize that they are each other’s soul mate. Her Hampton’s beach house is particularly memorable, the kitchen being the most copied “cinema kitchen” of all time. I appreciate the accomplished female leads Director Nancy Meyers (The Holiday, What Women Want and It’s Complicated) selects as main characters and puts in unorthodox situations, and that she spends so much time ensuring that her movie sets are exceptionally decorated. Her new movie The Intern starring Anne Hathaway is coming out in 2015. I can’t wait! 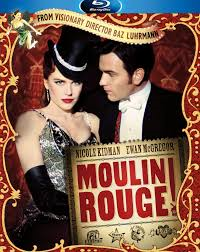 Nicole Kidman stars as Satine; a dying Moulin Rouge dancer. Ewan McGregor plays her lover and writer of the play she stars in. Baz Lurman’s cinematic style garners “love it or hate it” reactions. I am definitely part of the former group. Music, visuals, and performances are spectacular. 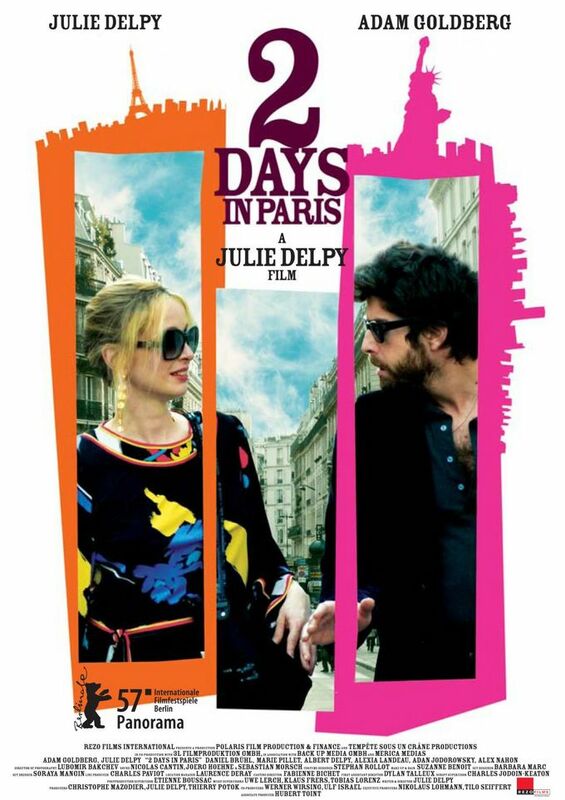 I love this movie for reigniting our passion for bohemian Paris. You can’t argue with the notion that “The greatest thing you will ever learn is just to love and be loved in return.” Sniff, sniff, so true! I still get an urge to jump on a table and belt out “Come what may !” with them when they dance on the Elephant. 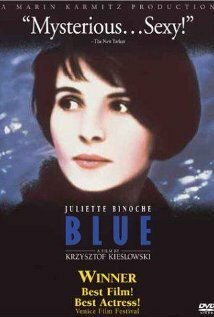 Juliet Binoche stars as a women grieving her husband and daughter after they are killed in a car crash. She discovers the last symphony he wrote in a very emotional finale; set in the French countryside. I first noticed my husband when he said that he was also passionate about this film. 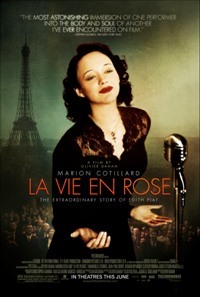 This exquisite Oscar-winning portrayal of French singer Edith Piaf by Marion Cotillard is a must-see. Watching this heart-wrenching movie is an unforgettable experience. Based on the wonderful book of the same name about three neighbors. 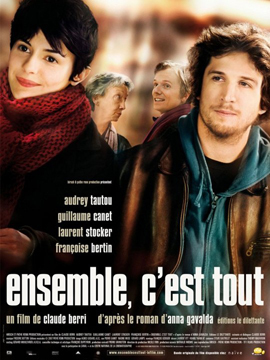 Audrey Toutou plays a girl living in a cold attic that befriends the misanthropic cook named Franck played by Guillaume Canet, and the lovable Philibert played by Laurent Stocker. This life-affirming film warms your heart. Two lovers spend two days in Paris. One is American and the other Parisian. This movie hilariously explores the difference between the two cultures. I am in awe of the creative French goddess that is Julie Delpy who produced, wrote, and directed. 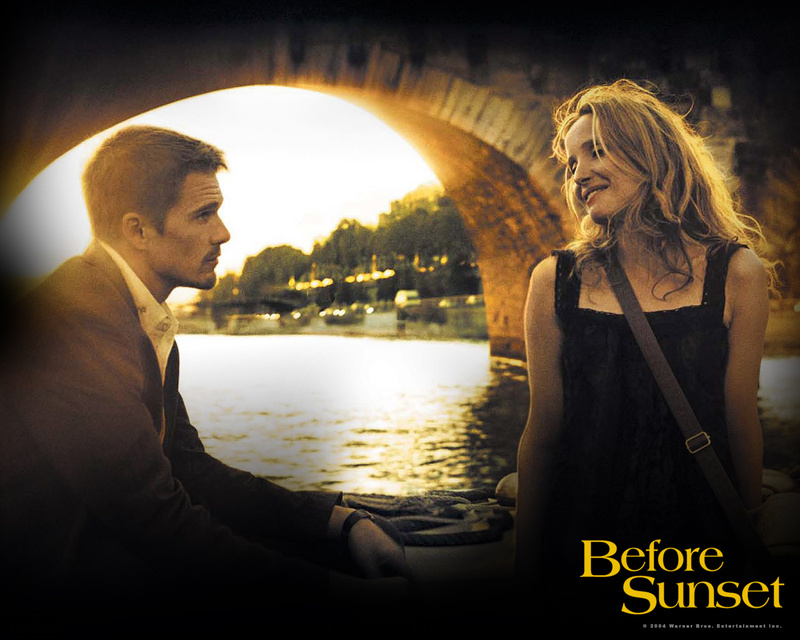 Adam Goldberg plays a paranoid American and Julie Delpy plays the seductive French girl with a past. Everywhere they go, they meet up with one more of her ex-boyfriends as he gets closer and closer to losing it in his hilarious way (he played Joey’s crazy roommate on Friends). This movie is followed by 2 days in New York which is equally hilarious and imaginative, starring Chris Rock. 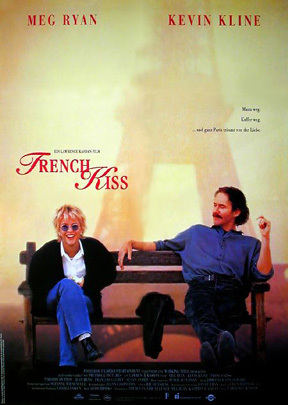 Meg Ryan and Kevin Kline star in this adorable romantic comedy about an American woman forced to face her fear of flying when she decides to cross the Atlantic to win back her fiancée after he falls in love with a Parisian femme fatale. Kevin Kline plays the French scoundrel that takes advantage of her vulnerability much to her distaste. Of course they fall in love, but first they must join forces to exact revenge on her fiancée. I love this funny romp that takes you from Canada to Paris to Nice until you reach the vineyards of Provence. Who doesn’t want to own a stone cottage on a vineyard ? This is part two of my favorite romantic trilogy that follows two lovers, each movie taking place after a ten year lapse. The two lovers meet at Shakespeare & Company a decade after they spent one night together roaming the streets of Vienna without exchanging phone numbers. Written by and starring Ethan Hawk and Julie Delpy. Directed by Richard Linklater of Boyhood. I find it amazing that his last name is also his signature movie theme. Let’s Link…later. These three movies are the closest I have seen to capturing what the ideal conversations are like with a soul mate when you share everything about yourself, your truths, your fears, your dreams, your passions and political beliefs. 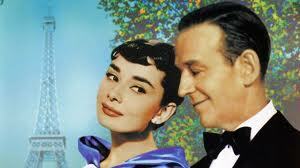 Not only are the characters fascinating, but the chemistry between the two actors is spellbinding. They are incredible artists in their own right, and together the three have created three masterpieces. You really get a satisfactory feeling watching these movies; like a good meal, not just a frothy drink like so many movies. What is your favorite movie set in Paris ?